Souvenir lucite key ring with photo of St. George Street. Navy ball cap with script "St. Augustine" across the front in white. One size, adjustable. 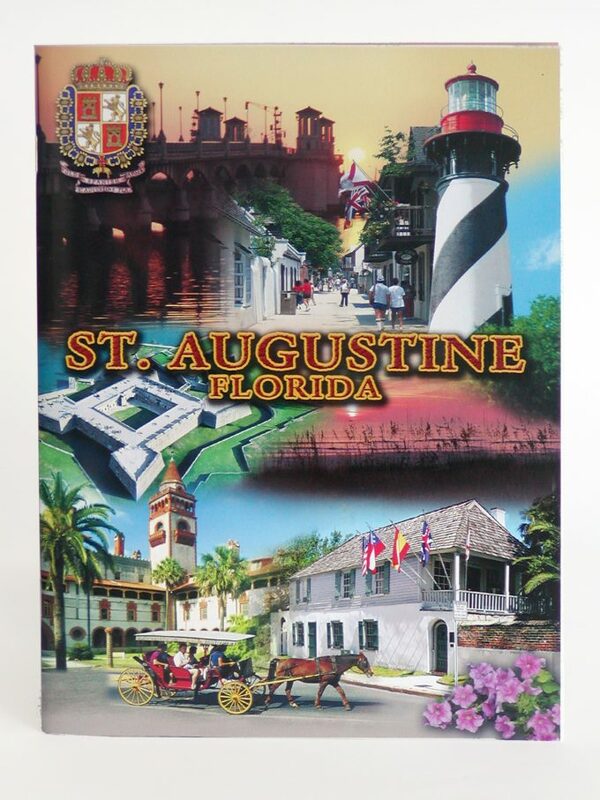 The St. Augustine Souvenir Guide is our best selling book. Beautiful full color pictures on every page depicting the Nation's Oldest City. Book is soft bound, 7 x 9.5 inches 32 pages of history and beauty. An 8.5"x11" full color paperback book filled with everything there is to know about St. Augustine. Including a complete list of attractions, things to do, points of interest, tour services, maps, history and much, much more.